With all that Vasti Jackson has going on, he could be forgiven should he ever suffer through an identity crisis. He’s an exceptionally-gifted guitarist and singer. 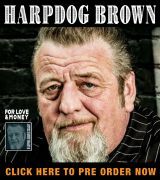 He’s a first-call orator, an ambassador for – and a Hall of Famer in – the state of Mississippi and he has a deep understanding of the blues and its long and storied history. He’s a clever song-writer and a skilled producer and arranger. And lest we forget, Vasti Jackson is also a natural under the bright lights of motion picture cameras and has appeared in several big-time movies and film projects. But make no mistake about it; Vasti Jackson is not battling through an identity crisis. He knows precisely who he is and just what he does. 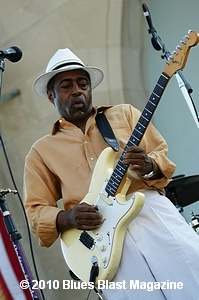 The Hattiesburg-based Jackson – who was inducted into the Mississippi Musician’s Hall of Fame in 2012 – has traveled the world for over three decades now, playing his brand of acoustic and electric blues, sprinkled with generous doses of jazz, funk and country. His tireless devotion to all things Mississippi led to his recent appointment as a cultural ambassador to the Magnolia State. Mississippi was once at the epi-center of the Chiltin’ Circuit, a series of legendary venues that helped give rise to the now iconic careers of musicians such as Sam Cooke, Ray Charles and Johnnie Taylor – to name just a few. And although the state may not have as many clubs and juke joints that feature nightly live music as it did even 30 years ago, Jackson says there’s still plenty of music to feast on in Mississippi; you just have to know where to look. That seems to be especially true from the up-close-and-personal vantage point that Jackson has. While it’s by no means some kind of well-kept secret, it may also not be that well-known that there are plenty of blues musicians still plying their trade in the Magnolia State that have neither left Mississippi, nor have they any huge plans at becoming the next big thing. In other words, those craving a face-to-face with the real-deal Mississippi blues would be richly rewarded with a visit to the state. While most blues lovers may not take the time to stop and think about it these days, a lot of the forefathers of the genre were looked at differently some four or five decades ago. Jackson easily acknowledges as much. One of the challenges that the modern-day blues is saddled with is its aging fan base. The music may be as essential and vibrant as ever, but the truth is, the same thing can’t be said of a vast majority of its audience. However, that doesn’t mean things are as bleak as they sound. A touch of updating and tweaking of the formula is all that’s really required. That line of thinking is exactly what has made Jackson such an in-demand bluesman – whether in Mississippi or across the ocean in Milan. Sure, he can play Robert Johnson tunes all day long with the best of them, but he’s always been dead-set on adding his personal twist to the music, pushing it forward instead of keeping it mired in the same place it’s been for 75 years. By no means is Jackson trying to set any kind of limits as to who can and who can’t play the blues. He’s quick to point out that all contributions are more than welcome. However, at the same time, that doesn’t mean that just playing the blues makes a musician a bluesman. Cultural experiences can be transient and move from one end of the country to another, undergoing a natural transformation along the journey. The way Jackson sees it, that’s all part of the process that has led to some amazing music being birthed. His grandmother – who was of Irish descent, had a deep love of country music and that helped heighten Jackson’s appreciation for that particular strain of music. A veteran of numerous country and bluegrass sessions in Nashville, even though Jackson is well-versed in that style and is friends with a whole host of Music City pickers, he stops short of calling himself a dyed-in-the-wool country musician. Jackson knows exactly what he’s talking about, because he’s been around music since way before he can remember and it’s always been a family affair. Those living room, front porch and church sessions around McComb helped make Jackson a musician before he ever knew he was one. 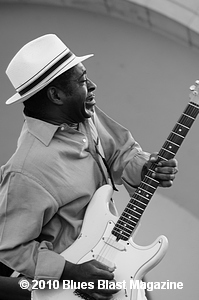 Partly because of his deep and thorough academic understanding of this rich form of music known as the blues and partly because he’s such a gifted musician and an engaging personality, Jackson has became involved in numerous television and movie projects throughout the past couple of decades. 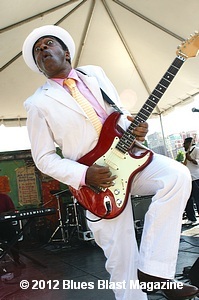 He was in involved in Martin Scorsese’s The Blues as an actor and also wrote the song “Train Rolling Blues” for Warming By The Devil’s Fire, an episode of the series directed by fellow Mississippian Charles Burnett. 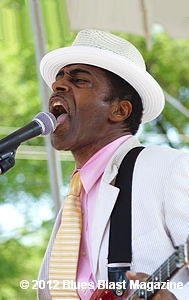 Jackson also narrated and performed his original “Hurricane Season” in Last of the Mississippi Jukes; and was featured in HBO’s critically-acclaimed series, Treme. More recently, Jackson worked on a multi-part documentary for PBS with Robert Mugge called Zydeco Crossroads that showed the blues’ influence on Cajun music and the Zydeco genre. He composed the theme song for the project, which is tentatively-scheduled for a fall, 2015 release date. 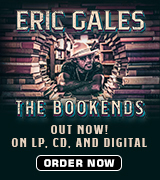 If that seems like a whole world away from the days when he was in his late teens and was just starting to get his feet wet on a big-time level, that’s simply because there’s been a lot of water under the bridge since Jackson’s first sessions at the venerable Malaco Records took place when he was barely 18 years old. When Jackson says he is music, he couldn’t strike the nail any more squarely right on the head. He is music and he is the blues. Heck, Jackson’s image was even used by H.C. Porter on the posters promoting the Blues Foundation’s Blues Music Awards (BMAs) last year; that my friends, is music. And as long as Vasti Jackson has anything to say or do about it, the blues and the wonderful culture and people of the state of Mississippi are not going to fade away. 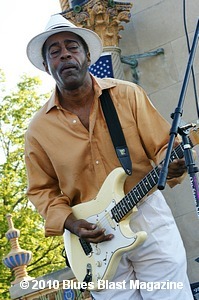 Visit www.vastijackson.com for tour info, video and downloads.